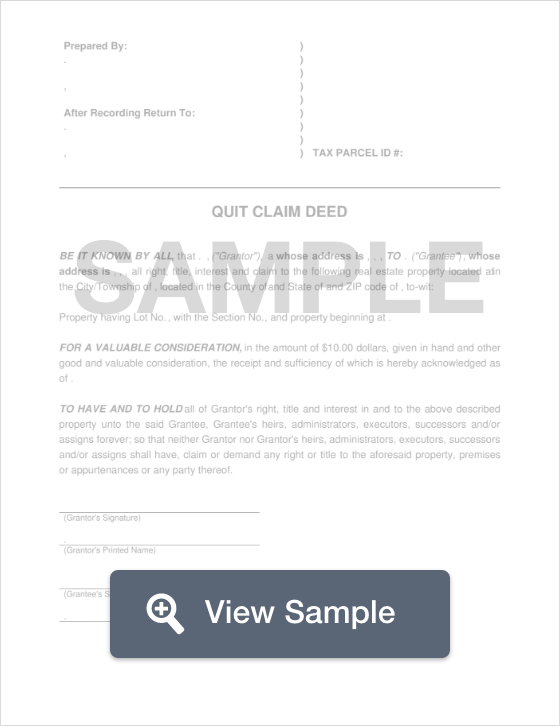 What is a Missouri Quit Claim Deed? Missouri Quit Claim Deed: What Is It? A quit claim deed in the state of Missouri is a means of transferring the ownership interest of a property from one person to the next. This type of transfer is considered expeditious and it fails to provide any form of guarantee that the property title is free from encumbrances or that the seller even has the legal authority to sell the property. This form of transfer is generally conducted between family members but is used in other transactions such as in divorces and short sales. Regardless of the situation, the seller should always conduct a thorough title search to ensure there are no surprises after taking possession of the property. Recording - Once notarized, the quit claim deed must be filed with the County Recorder of Deeds in the county where the property is located.